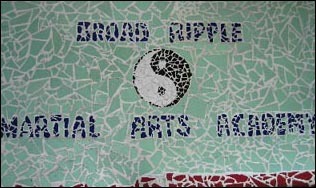 Broad Ripple Martial Arts Academy has been a fixture of the Indianapolis community since 1998, offering classes for children and adults. All of our instructors are accomplished martial artists and experienced teachers, and all of them are dedicated to developing both the body and the mind. We firmly believe that instilling the qualities of self-confidence, self-discipline and self-control will build a strong foundation for success in all aspects of a person's life. We are also committed to helping our students set goals for themselves, and giving them a clear path to achieve them. This approach has served us well, as we have shared in the success of many local, state, national, international and Junior Olympic champions. Our affiliations with several martial arts organizations keep us updated on current trends, as well as informing us of competitions around the Midwest.